Setting up reviews just got easier! 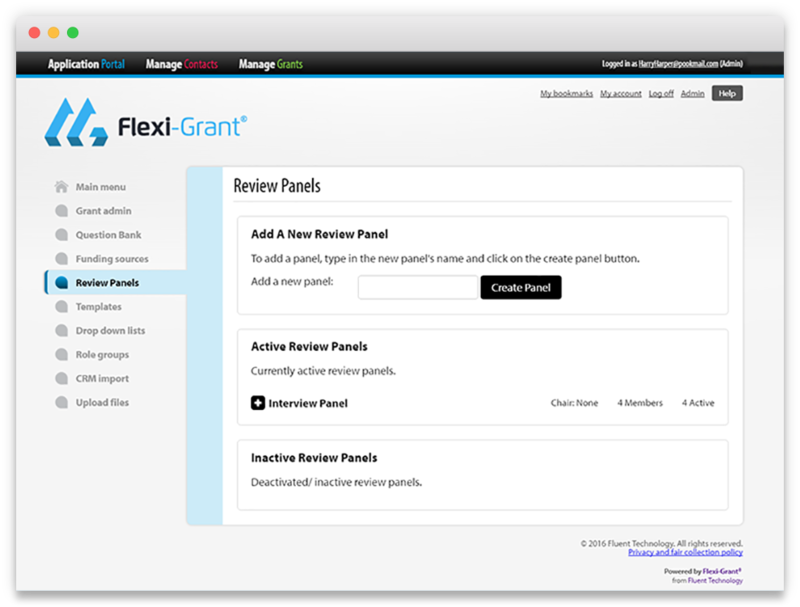 Administrators have been able to set up reviews for some time in Flexi-Grant® but now you can send out reminders to reviewers individually or in bulk, view stats on how many reviews each of your reviewers has in progress, how many new reviews you have allocated to each reviewer and the response rate for each Reviewer’s entire life cycle. Check out the video here. 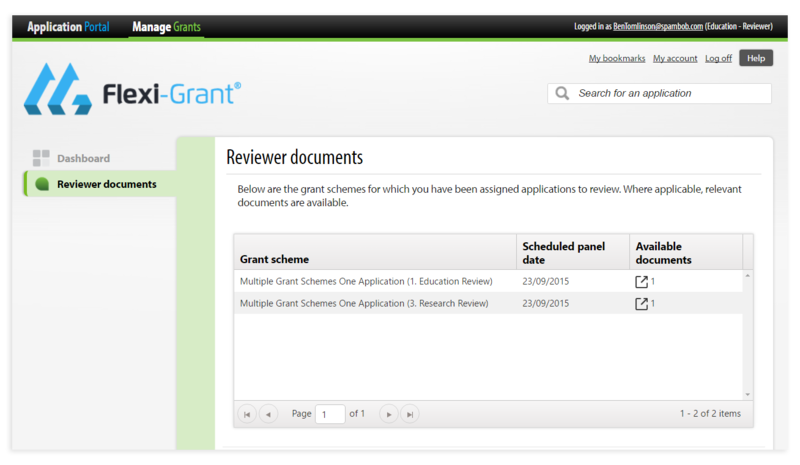 The newly designed Review Panel section in the Admin section of Flexi-Grant® means that you can now set up multiple re-usable panels which you can assign to grant schemes and/or review rounds. Give your Review Panel a meeting date, assign a Chair/Deputy Chair, deactivate or delete a Review Panel once you’re finished with it and add Panel Members in bulk. Check out the video here. Set up an Internal Review Panel and an External Review Panel. Assign the Internal Review Panel to your first review round so that you can do the initial shortlisting then the successful applicants who make it through Round 1 can go to Round 2 where you will use your External Review Panel. 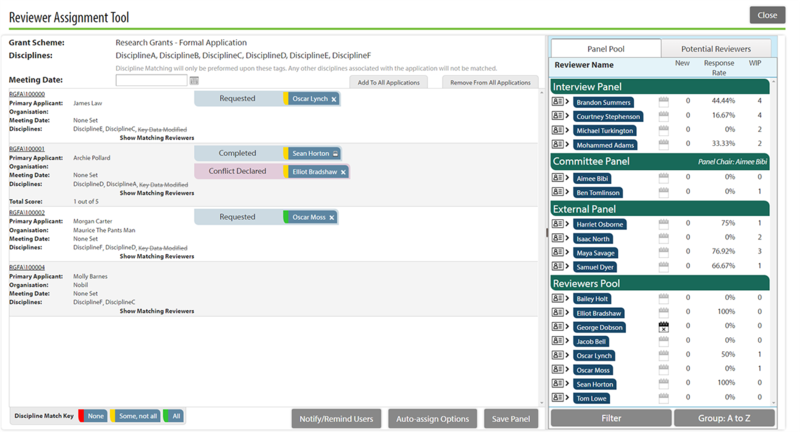 The new Review Panel tool provides a simple and intuitive way for any administrator to set up as many panels as you need! Upload Documents for your Reviewers. We recognised that you need to provide your Reviewers with supplementary documents or notes to help them review as efficiently as possible which is why we added a Reviewer Documents section to all Reviewer Dashboards. Now documents and notes can be added against Review Rounds so that detailed reviewer instructions, meeting agendas, meeting minutes, panel and board papers and any other relevant information can be stored and shared with other panel members, enabling a smoother transition through the review process. We’re very excited by all our latest Reviewer journey updates and we have lots more fantastic developments planned! Big plans are afoot next year to further improve Flexi-Grant® both functionally and design wise …. and we can’t wait to show you it all in 2017! Want to streamline your grant management processes? Music to our ears! I recently watched an interview with the film director John Boorman. He spoke at length about his experiences making the film Deliverance (1972). The studio was nervous. The film had no female cast members, no known big stars and the budget was being continually nibbled away. The director’s original plan was to have a composer and full orchestra to do the film score. As the budget came under further pressure John Boorman decided to dispense with the composer and orchestra. It was a bold decision. While giving a product demonstration last week I was inevitably asked “What reports do you have?”. I hate that question! Why? Because I know as soon as I start to show any standard reports that we have in Flexi-Grant I will invariably hear: “That’s great but what I really need is…”. As a result I try to avoid showing reports as an immediate response to that question!